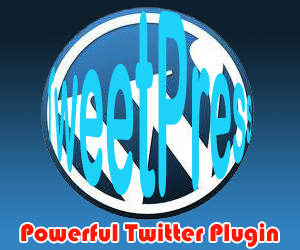 TP or TweetPress was provide you all you need about tools to integrate your wordpress blog and your twitter account. That’s all provide on TweetPress including “Login to your Twitter account ” and “Write comment via your Twitter“. And TweetPress is easy to customize and easy to use. Allow your visitors to comment using their twitter ids. Adds a tweet button to your posts, so your visitors can share your content. Allow your blog users to sign in with their twitter ids. one click signin! Automatically publish new posts to a twitter account. Easily customizable by theme authors.